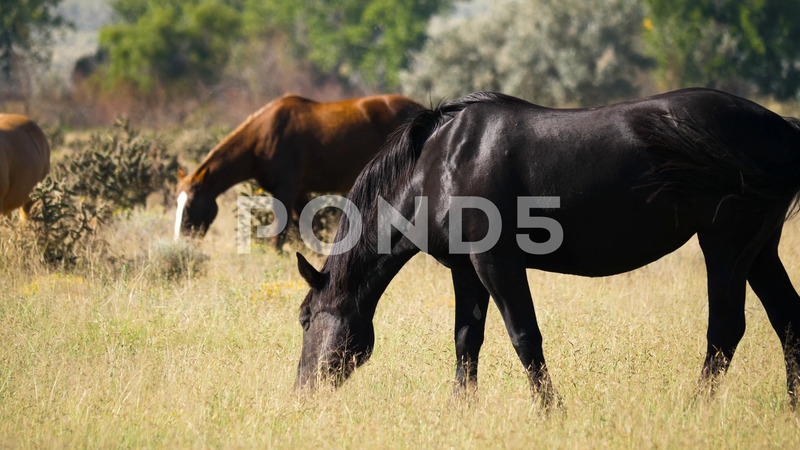 Description: 4K, Black mustang horse grazing in a plain of Colorado Spring, Texas. The animal moves the skin of its body to scare the flies. Other horses in the herd graze from behind.